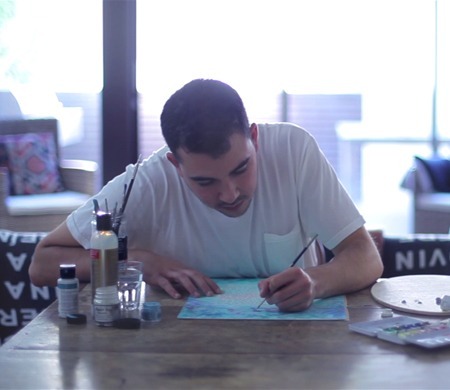 Since childhood I have gravitated towards the arts as a vehicle for meaningful expression, catharsis and creation. My love for art has been nurtured and nourished through maintaining a palette of creative interests; painting, drawing, sculpture, photography, creative writing and jewellery making. 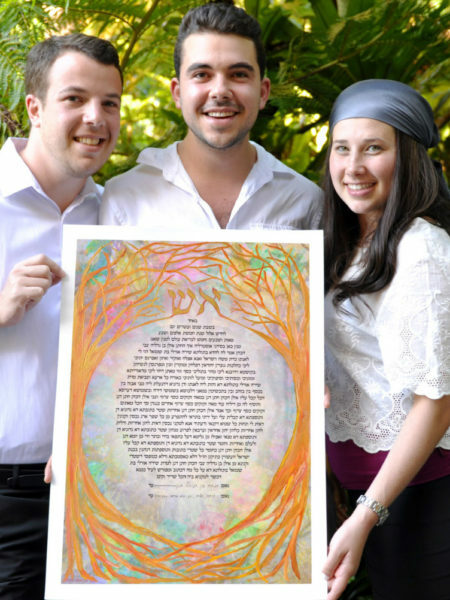 In the Spring of 2015 I was flattered when one of my closest friends (pictured on the right with her husband) asked me to design and paint the Ketubah for her wedding. 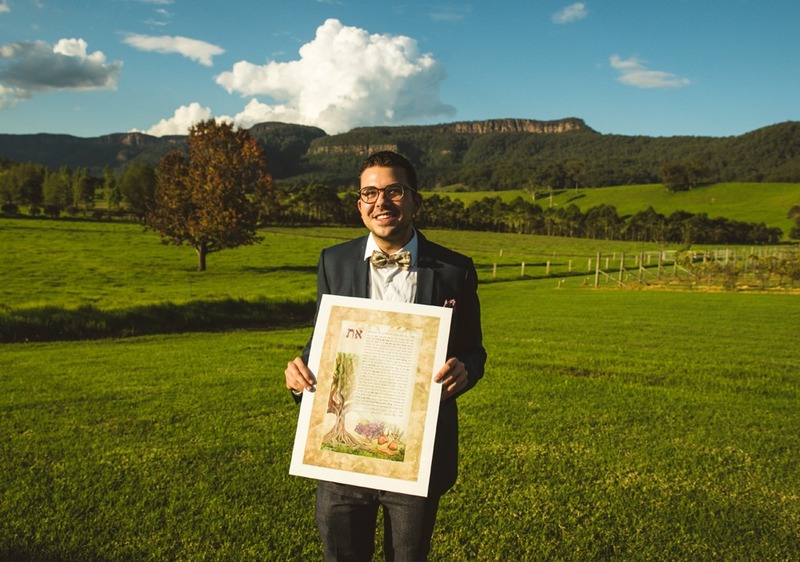 Whilst I had previously been commissioned to produce art, I felt privileged to be creating a Ketubah – a document of such great significance. Word of mouth within the community generated numerous further commissions. And so, with the passage of time, Today Tomorrow Forever came into being. This venture integrates skills from my Undergraduate and Honours studies in Graphic and Spatial Design (University of New South Wales), together with my Masters in Management and Marketing (University of Melbourne). During my university career I was also awarded opportunities to study abroad at the School of the Art Institute of Chicago (set design, photography, painting) and the Copenhagen Business School (entrepreneurship, management and psychology). It is the culmination of my academic career, life experiences and passion that have well equipped me to offer these creative services. Painting Ketubot, Blessings and other artwork (invitations, thank you cards, Benching cards and other projects) allows me to cultivate my love for artistic creation with the excitement of witnessing love stories. 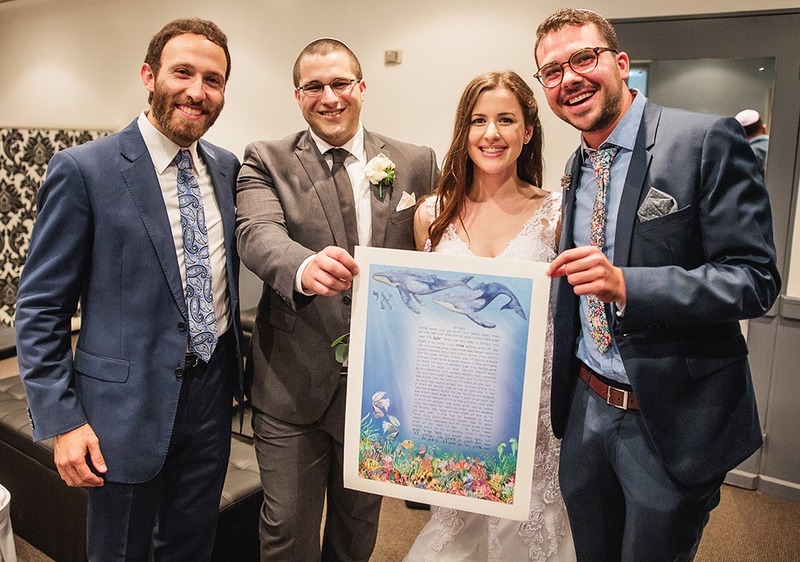 It has also enabled me to engage with my Jewish identity and Yiddishkeit, and connect these with Judaism’s emphasis on the institution of marriage. There is magic in meeting a couple, hearing their love story and harnessing the resulting inspiration to drive the realisation of a design which celebrates the motifs, metaphors, meanings and memories relevant to them. Let us meet and discuss how I can paint something that sings with visual poetry the symphony of your love for each other and honours your special occasion – cherished today, tomorrow and forever.